Toyota Motor Corp. has regained its position as the world's most valuable auto brand despite the carmaker's massive recall campaign. Toyota's brand value jumped 11 percent to $24.2 billion in the BrandZ Top 100 annual ranking of the world's most valuable brands, overtaking BMW, which was No. 1 last year in the automotive category. The ranking, whose 2011 results were released today, were compiled by the research company Millward Brown. Peter Walshe, Millward Brown global brand director, said Toyota's recall had not dented consumers' confidence in the carmaker. "It was a highly trusted brand before the recall and the company was always going to bounce back if it acted responsibly, which it did. It shows the resilience of the brand," Walshe told Automotive News Europe. 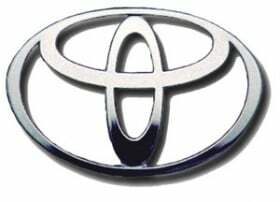 Toyota had been the most valuable auto brand every year from 2006 until 2009. Mercedes-Benz moved to the No. 3 spot in the automotive category, overtaking Honda, after its brand value increased by 12 percent. Nissan's 17 percent rise in brand value was helped by the marketing buzz created by the Leaf electric car, Walshe said. "Nissan is positioning itself as a green leader and its stance is paying off. It has also realized it is a challenger brand in most markets, so it is doing things differently in terms of its new models," he said. The 2011 Top 100 ranking is led by Apple, which has a brand value of $153 billion. Apple this year took the top spot from last year's No. 1, Google, whose brand is valued at $111 billion.